Once men reach the age of 45, they have a higher risk of developing high blood pressure. High blood pressure is defined as a blood pressure of 140/90 or higher. It can increase your risk for heart failure, kidney failure and vision problems. 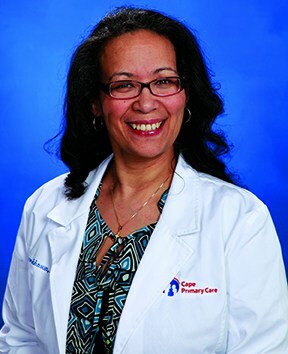 “One in three Americans has high blood pressure and are not aware of it,” says Joy L. LeDoux-Johnson, MD, internal medicine physician at Saint Francis Medical Center. Pay close attention to your diet. Limit your salt intake; ideally, you should consume less than 2,300 milligrams of sodium per day. Also, focus on fruits and vegetables, and low-fat milk and dairy products. Be as active as possible. Studies have shown that the more active a person is, the lower his risk of developing high blood pressure. Stop smoking and limit your alcohol intake. Lose weight. Losing as little as 10-20 pounds can help lower blood pressure.